Learn more about how your business and community can achieve a carbon-free future. We have a twenty-year track record of providing reliable, competitive renewable energy projects that meet your energy and sustainability goals. We shaped large-scale wind development in the Eastern U.S. and led the growth of solar nationally. Now, we have developed more than 1,500 megawatts of wind and solar power and we continue to drive each new chapter of clean energy development forward. 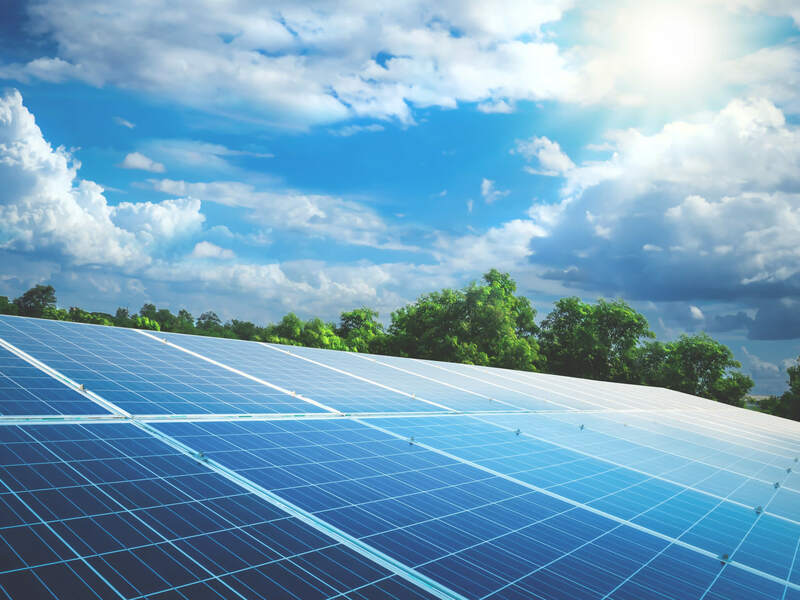 Our offsite Power Purchase Agreements (PPAs) provide fixed electricity rates for up to 30 years, limit exposure to energy market volatility and reduce operating budget risk without a capital commitment. We provide grid-connected solar, wind and storage projects at the scale necessary to meet sustainability and energy demands of utilities and large electric customers. Our long-term relationships attest to our integrity and deep understanding of energy market conditions and evolutionary technologies. While there is no one-size-fits-all approach to our projects, what remains consistent is our team’s attention to detail, commitment to collaboration and capacity to take on risk. Amazon Solar Farm - Eastern Shore is a solar project on the Delmarva Peninsula. Provides supply for Amazon Web Services data centers in Virginia under a long-term Power Purchase Agreement. Amazon Solar Farm Virginia – Southampton is a solar project in Southampton County, Virginia supplying Amazon Web Services data centers in Virginia under a long-term Power Purchase Agreement. The Comanche Solar project was selected by Xcel Energy through a competitive bid process to supply the majority of its solar generation portfolio. The North Star Solar Project provides Xcel Energy with a cost-effective and efficient solution to meeting their 1.5 percent solar energy requirement in Minnesota. The Butler Solar project originated through a competitive bid process announced by Georgia Power. Keystone Solar is the largest customer driven utility-scale solar project in PA. 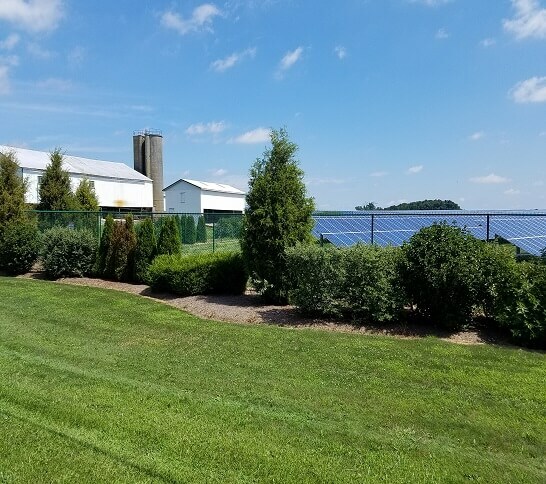 The 2.6 MW (DC) Elizabethtown College Solar project utilizes a fixed-tilt racking system and is expected to produce around 3,300 Megawatt-hours annually. 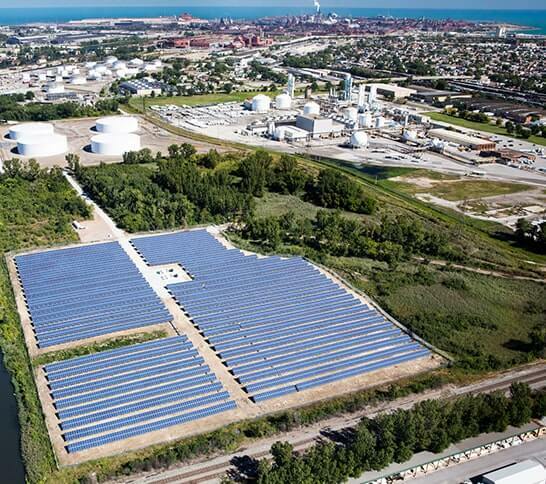 As the scale of the climate challenge becomes evident, utilities, companies and municipalities are challenged to more quickly adopt clean, renewable energy technologies to power their operations. Our reliable and cost-effective projects provide economic answers to that challenge for energy providers, Fortune 500 companies, cities and communities. Fluctuating energy costs, ambitious clean energy targets and evolving public preferences are driving companies and communities alike to find economic options to decarbonize the energy used in daily operations. We have been working alongside leading companies and communities to ignite clean energy markets for twenty years, and our customer base is as diverse as the reasons for investing in carbon-free electricity. As a clean energy project developer, we serve investors, utilities, corporations, universities, small businesses and residents, ensuring a renewable energy investment will be impactful and financially viable. Community Energy projects are carbon-free. Our renewable energy installations reduce air pollution and offset thousands of tons of carbon dioxide emissions every year. As the scale of the climate challenge comes into focus, cities, companies and communities across the U.S. are taking the initiative to decarbonize the infrastructure that citizens rely on in their everyday lives. Depending on the average number of sunny days in a region, a 100 MW solar installation will offset anywhere from 109,500 tons of CO2 to 127,750 tons annually. In total, our 1,500 megawatts of renewable energy projects produce enough energy to power more than 253,000 homes per year.